Traditional surveys have been the go-to source for gathering feedback from your users. While it works for the sender, no one on the receiving end enjoys answering surveys. I want to share something today that will not only give you direct, continuous positive feedback from your users, but will also delight them. To top it off, it’s incredibly simple. Yep. 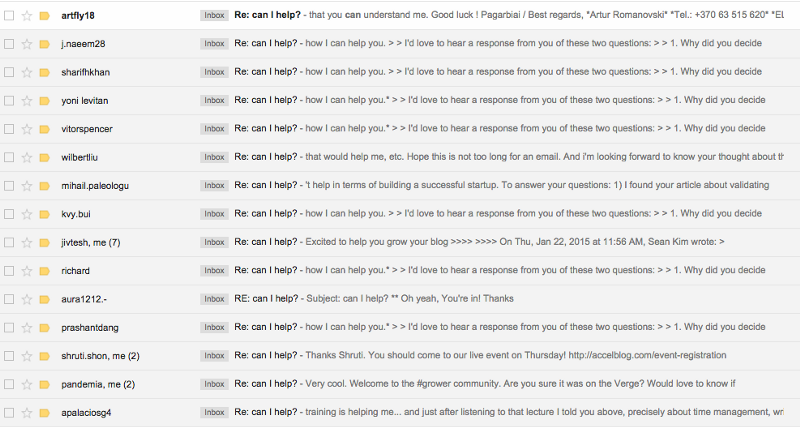 This is what it comes down to — an email autoresponder. Most of you are probably saying “What does an email autoresponder have to do with receiving positive feedback from my users?” Sending the email is just the start. It’s the questions you ask in the email that’s key. 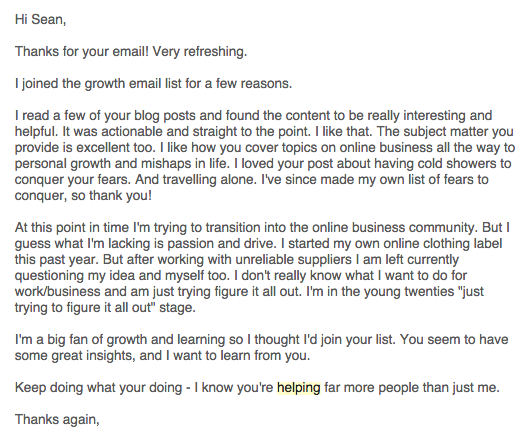 Here’s the email that I send out every time someone joins my email list. Why did you decide to join [your website]? What are you struggling with the most? These two questions may sound incredibly simple, but that’s the point. 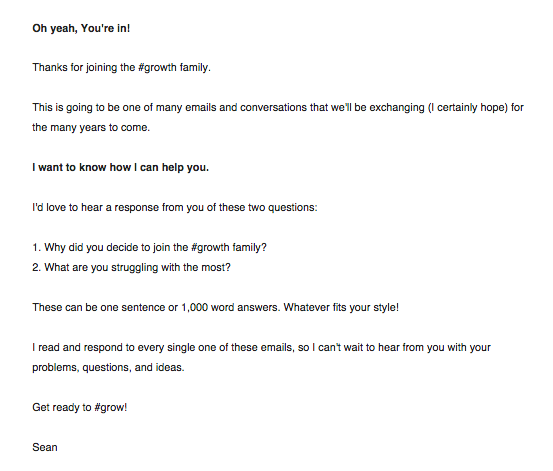 Your users don’t have the time to answer ten questions, not even five. By keeping the questions short and strategic, you’ll get the most number of responses, while getting direct, specific answers that matter. In this case, the first question allows me to know where my most dedicated readers are discovering the blog, which shows me where I should focus more of my time marketing. The second question is key. It tells me what my readers want to learn about, which outlines the type of content I’ll be writing, the products and services I’ll be creating, and the guests I should bring on my interview show. Don’t mistaken simplicity for its effectiveness. By spending less than 5 minutes upfront, I now get emails everyday from users sharing their story, struggles, what made them join the email list, and how they found us. 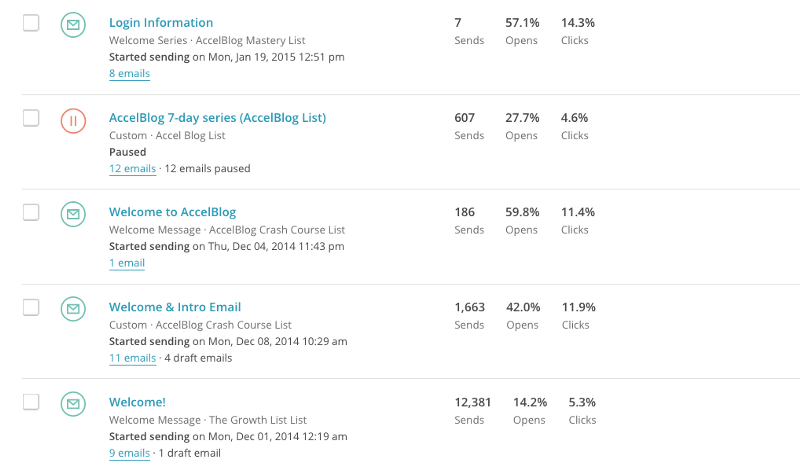 There’s no longer a need for surveys, when you can get constant feedback from new subscribers on your email list. Now it’s your turn to delight your users. 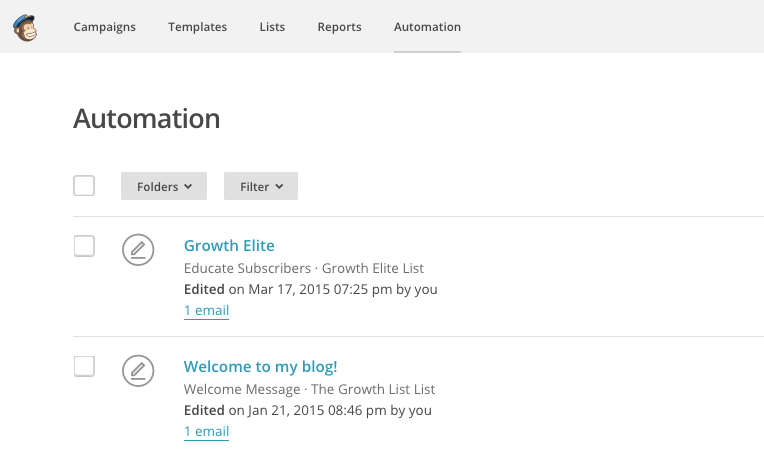 Create an email automation responder using your email marketing tool — i.e. Mailchimp, AWeber, GetResponse, etc. 2. Write your personal email message using the two questions above. 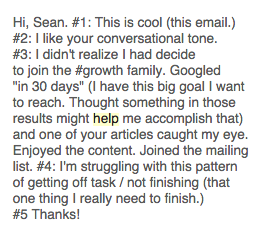 Feel free to use the format I have for my #growth family. 3. Schedule it to be sent immediately when users subscribe. That’s it! Now you can kick back and watch a series of continuous thoughtful, positive feedback and delighted users responding to your email every day. What do you think about this strategy? Could you or someone from your team use this in your blog or business? I’d love to hear your thoughts!